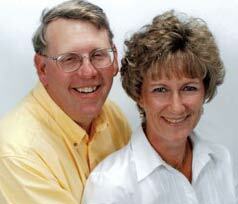 Chris and Lynn Holvey own and operate Cascade Greens. Backed by many years of experience, our business is excellent in synthetic turf installation for residential and commercial applications. Landscape grass, putting greens, putting courses and sports fields are our most popular synthetic turf installation applications. Our blog post about how we started can tell you all you need to know about our owners. Cascade Greens was started over….Dishes? Cascade Greens is licensed by the State of Oregon Construction Contractors Board, CCB# 163195, and the Washington State Department of Labor and Industries, license #CASCAGL875PN. Cascade Greens’ experienced team of supervised installers is fully insured to protect your investment. Our supervisors have trained the staff in quality synthetic turf installation and other skills. Therefore, our employees can provide you with the best looking yard, putting green, or sports field. We have the latest equipment and an outstanding limited warranty to ensure that your turf always looks its best. In addition to installation equipment, Cascade Greens has invested in sports field maintenance equipment to keep your field playable. Contact us today to find out more! Our goal is to provide the highest standard of customer service possible. Locally and family owned, Cascade Greens is fully qualified to handle all aspects of your project. We pride ourselves in having just one point of contact throughout your project. Cascade Greens takes pride in the work their employees do so our customers can be confident the job will be done right. In addition to Dream Turf, Cascade Greens offers many types of synthetic grass and other synthetic products for residential, commercial, sport and golf applications. Please visit our product page to get a more in depth description of our most popular synthetic turf options. We have many more products available by special order if you don’t see what you are looking for that is best for your application. Contact us today for a free consultation.